How can so much fun be had from a deck of 52 cards? Plenty, when you're playing poker. So many rules, skills, luck and psychology are involved. When the game is not going your way, toss your cards into the center of the table and fold. 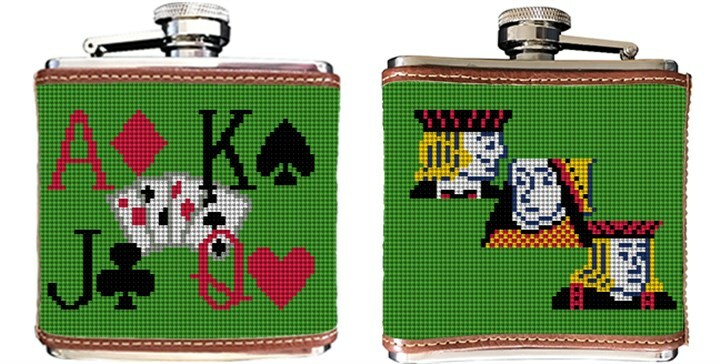 Then pick up your Poker needlepoint flask canvas and stitch away; while the other poker players are losing all of their money. Please let us know if you would like to replace one image with a monogram.